The development team behind Star Wars: The Old Republic has released a video diary chatting about the Jedi as the ultimate defenders of peace, justice, and the Galactic Republic. The dev diary also talks about being heroic and fighting for the Light Side or Dark Side. At the heart of The Old Republic is choice, and players can explore paths for their Jedi characters – whether it be “like Anakin Skywalker or simply adopting a unique combination of fighting styles, a variety of options will be available”. Awesome. SWTOR is not just about Scoundrels and Wookiees, then, despite our penchant for them. Well, not Wookiees. They supposedly smell like wet dog. 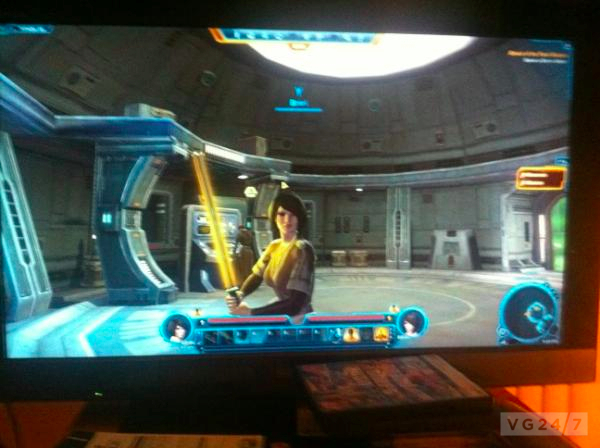 SWTOR is slated for PC sometime during spring 2011.